Our fund raiser month continues in earnest, though with a different movie as promised! 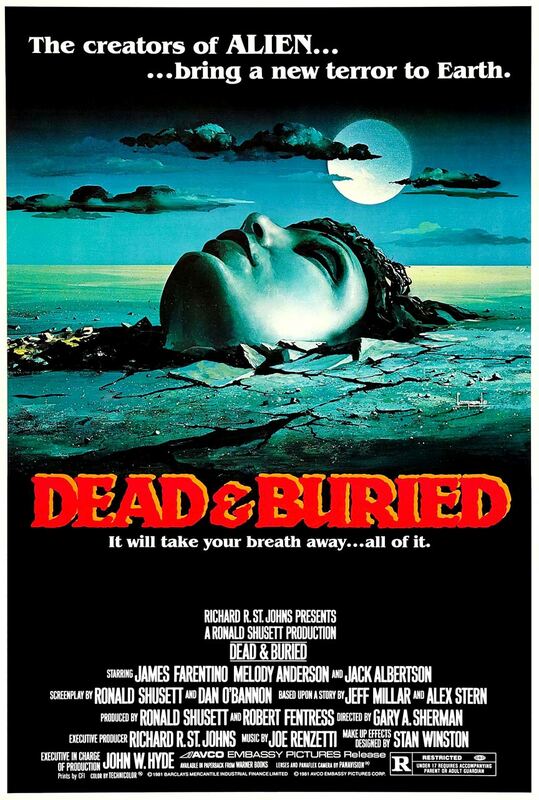 At the request of Patrick Hamilton, who donated to Everytown and got to pick the topic of this episode, Brennan is being joined by Ryan Larson (Keep Screaming, Ghastly Grinning) to discuss the 1981 slasher/zombie/voodoo flick DEAD & BURIED! Join us as we review the film, try and fail not to get distracted by other slasher flicks whenever we mention them, compare this movie to everything from THE FOG to JAWS to GREASE, and try to figure out what the hell is going on!